International Women’s Day is a day we take every year to celebrate all the women in the world and their achievements. It’s also a day where people raise awareness of the bias women face, and fight for equality for all. Every year International Women’s Day takes place on March 8. According to International Women’s Day, the first International Women’s Day took place on March 19, 1911. It was first celebrated by Switzerland, Austria, Germany, and Denmark. This happened after an agreement made the previous year in Copenhagen after Clara Zetkin proposed the idea of an International Women’s Day. On the last Sunday in February, 1913, women in Russia celebrated International Women’s Day to support peace before World War I started. In 1913 it was also decided to move International Women’s Day to March 8. On March 8, 1914, in London, and other places across Europe, there were rallies to stop the war and unite all women. In London there was a rally from Bow to Trafalgar Square were people supported the women’s suffrage movement. In 1917, the Czar of Russia granted women the right to vote. This happened after they put together a strike for “bread and peace” after over 2 million Russians were killed in World War I. The women kept striking for 4 more days. Many people opposed them, such as political leaders. The Czar forced the provisional Government to give women the right to vote. The UN first started celebrating International Women’s Day in 1975. Then two years later, in December of 1977, the General Assembly officially created a resolution for a United Nations Day for Women’s Rights and International Peace. This resolution states that member states (countries that are part of the UN) can celebrate International Women’s Day on any day that works for them based on their cultures. Today, International Women’s Day is celebrated all over the world in many different ways. The International Women’s Day website recommends many ways to celebrate the day by making a difference. They tell people to identify their goals, identify their audience, and then decide what you can do; just a few of the ways they suggest are their downloadable selfie cards, social cards, and posters. You can also order event packs, which help you run a women’s day event. The International Women’s Day also tells readers about the #BalanceforBetter tag. Social media is a great way to spread awareness of inequalities and educate others. Something as simple as a Women’s Day filter on Snapchat can inspire others to learn and remind people of the day’s significance. If you want to make a difference, use tags including the #BalanceforBetter and #InternationalWomensDay tags, or simply spread the word. 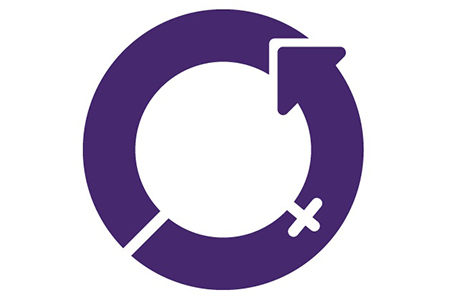 Visit https://www.internationalwomensday.com/HowToPlanIWD for more information.